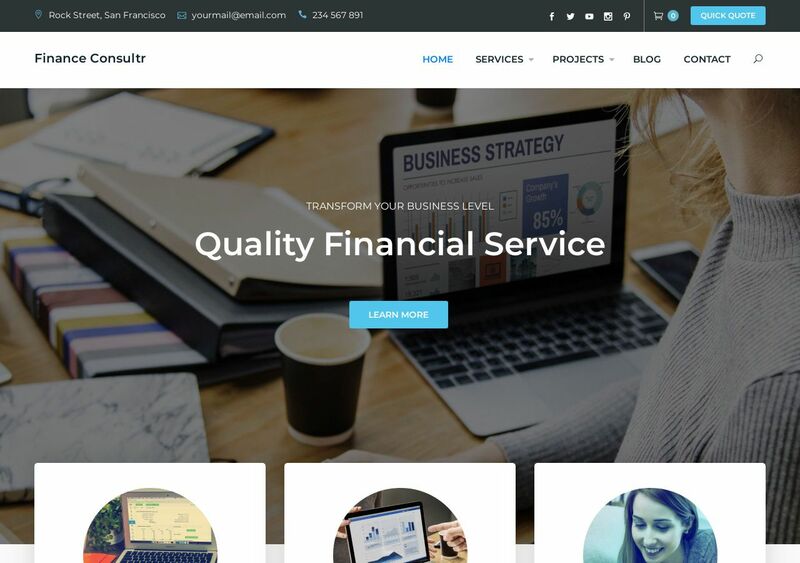 Finance Consultr is a professional theme designed for finance organizations, finance experts, and professionals providing consulting services. The versatile design extends its usability to include features like Blog, Portfolio, Services, and even an Online Store if you so desire. Needless to say, the Bootstrap foundation ensures great performance across all known mobile devices. Furthermore, Keon Themes guarantee optimal performance for all of their work because of the use of clever code tricks and an overall smooth code structure. The Theme Options panel in WordPress Customizer lets you edit your content in real-time. This means that you can play around with the look and feel of your site with an instant preview before your changes go live.